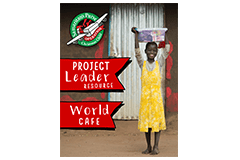 Project Leaders make it easy for their church or group to participate in Operation Christmas Child. 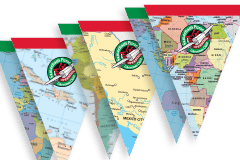 View the checklist below to get ready for National Collection Week, November 18-24, 2019. Check out our Project Updates. Praise God for 10.6 million shoebox gifts collected in 2018—and 10.6 million more opportunities to share the Gospel. 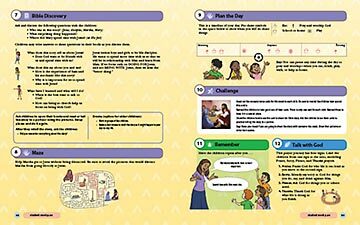 Download resources to share with your church or group. Hear first-hand from other project leaders! 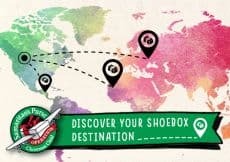 Prayerfully set a shoebox goal. Setting a goal is important because it motivates participants and helps you adapt activities as you chart the progress toward the goal. To reach your goal, will you invite individuals and families to pack their own shoebox gifts? Or, will you organize and host a packing party for your group? If yes, download our editable packing party signs. 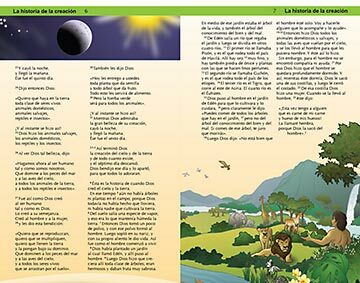 Don't forget to order shoeboxes and other resources, including posters and brochures. 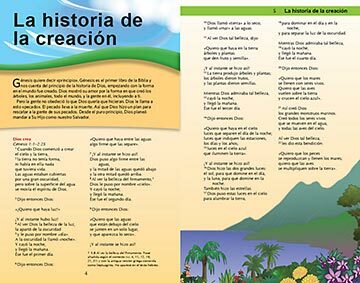 Bonus idea: Download and print the Project Leader Timeline. 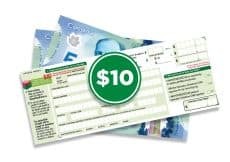 How will you collect the $10 per shoebox shipping donation? By creating your own fundraising webpage? 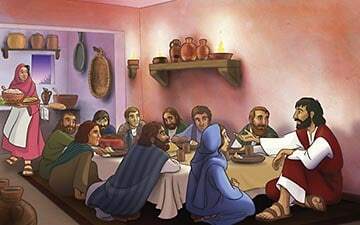 Cast vision and discuss plan with church or group leadership. 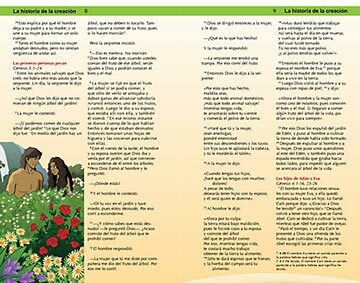 Download our Taking Operation Christmas Child Churchwide resource. Bonus idea: Make packing easier—collect items year-round! 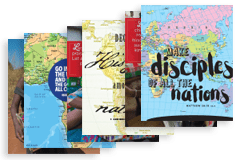 Get ideas for how to launch the project for your church or group. 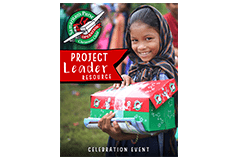 Use a selection of Operation Christmas Child brochures, promotional inserts, web banners, videos, photos, etc., from the Resources and Ideas Hub. 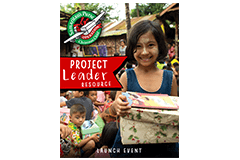 Share stories, photos, and videos from Operation Christmas Child’s webpages. Review the steps of packing a shoebox. Be able to demonstrate how to pack a shoebox. Know what can and can’t be packed. Emphasize the importance of including a “wow” item and $10 shipping donation in each shoebox. Bonus idea: Host a promotional activity, such as a Project Launch Event or World Café. Collect and Celebrate What God has Done! 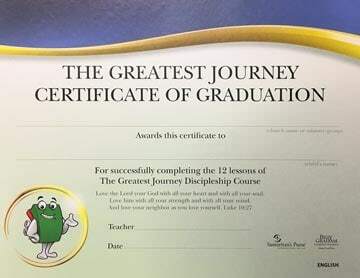 Join hundreds of churches across Canada and host a Celebration Event. Set a date as your deadline to collect shoeboxes at your location, then celebrate, and dedicate your shoebox gifts to the Lord! Collect shoeboxes in a high traffic area so people will notice as more gifts are collected. Share your photos with @OCC_Canada, using the hashtag #ilovepackingshoeboxes. 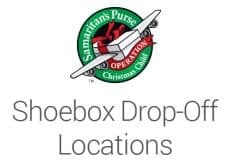 Plan wisely so you have plenty of time to bring your gift-filled shoeboxes to the drop-off location nearest to you, during National Collection Week, November 18-24, 2019. Bonus idea: Serve year-round and coordinate a shoebox drop-off location during National Collection Week. A $10 donation per shoebox gift is critical to cover shipping and other ministry expenses. 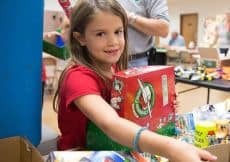 Operation Christmas Child is a great mission project for kids! 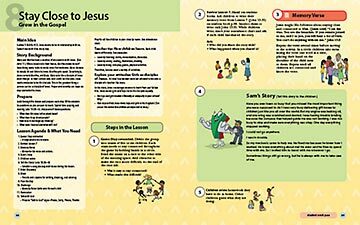 Whether you are focusing on packing shoeboxes as a family or as a group during Sunday school, children’s church, or VBS, these Children’s Resources will help your boys and girls learn more about the importance of giving in Jesus’ Name. 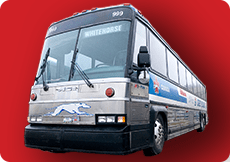 Did you drop off shoeboxes with Greyhound in past years? If yes, please read this important update.